In today’s fast-paced, unprecedented, and unpredictable economy, many executives simply don’t know what to do. Conventional methods—which many never entirely be understood in the first place—often don’t work during economic upheaval. Executives, especially CEOs, need something better. They need a guide that identifies the roadblocks and points out the landmines. Linda Henman, PhD, is a coach, consultant, speaker, and author. For more than 30 years, she has helped Fortune 500 Companies, military organizations, and small businesses define their direction and select the best people to put their strategies in motion. Linda holds a PhD in organizational systems, two MAS degrees in both interpersonal communication and organization development, and a BS in communication. 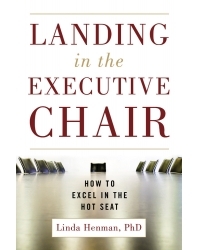 A member of the National Speakers’ Association, The National Association of Corporate Directors, and Air Force Association, Linda works with executives and boards of directors to help them set strategies, plan succession, and develop talent. She is the author of The Magnetic Boss and founder and president of Henman Performance Group in St. Louis, Missouri.